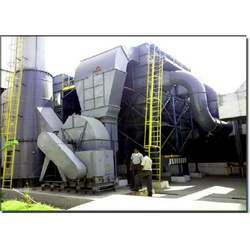 Leading Manufacturer of pulse jet bag filters, venturi scrubbers, dust collectors, cyclone separators, multi cyclone separators and fume extraction systems from Hyderabad. During the filtration of the dusty gases, the dust is deposited into the external surfaces of the filter bags, which are made from high- performance needle-felt. A high-efficiency sequential "Pulsing Mechanism" injection cleans the filter bags continuously and its automatically at interval of between 1-10 minutes with pulses of compressed air at pressures of 5-6 bar with a pulse duration of 0.1 -0.2 sec. The compressed air enters the "Pulsing Mechanism" injection radially and leaves it in axial direction Large quantities of air are therefore drawn in through 1st and 2nd stages of the injector which reverses the flow of air through the filer media and cleans the dust off the filter bags, in the filtration phase, cleaned gas passes directly through the nozzles in to the clean gas channel. Collected dust is taken out from RAV and clean air let to atmosphere through chimney. Essar offers its product and service with a commitment to continue to solve Industrial Air pollution problems. We are engaged in providing durable Pulse jet bag filter that may be designed in pulse jet air systems. The pulse jet bag filter ranges highly appreciated for better collection or efficient filtration. Essar systems are designed to achieve the highest performance with online reliability, minimum of down time, minimum expenditure and lowest maintenance of the requirement. We have successful Installation at our credit in India on a wide variety of difficult applications. 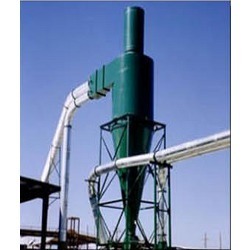 Essar offer the pulse Jet bag filter at market leading rates to the valued clients. 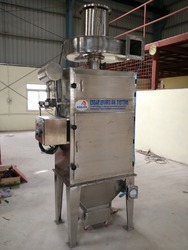 Optimal design of the bag filter to meet the specified requirement. (Square. Modular & Round shapes ) . Full as well as bin Mounted versions. Fully automatic bag cleaning mechanism. 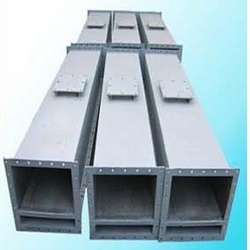 We offer Cyclone Separators that are an effective pollution control solution which meet the requirements of diverse manufacturing industries. These are easy to operate and are highly demanded in the market. 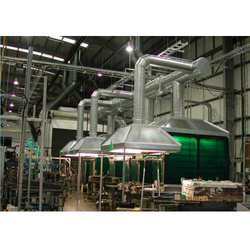 As this equipment is made up of few components, it does not require much maintenance. 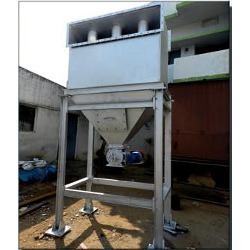 Cyclone Separator is used for collecting dust particles generated in woodworking, metal grinding, or machining. Cyclones are used as pre collectors to reduce the loading in bags. These are cost efficient and are the best filtration device available in the market. 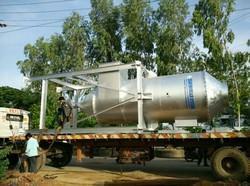 we are the leading manufacturer of Cyclone Separator in Hyderabad. Looking for Dust Collectors ?